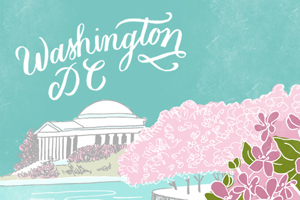 I firmly believe in celebrating milestone birthdays and anniversaries – and a 75th birthday is definitely a milestone! 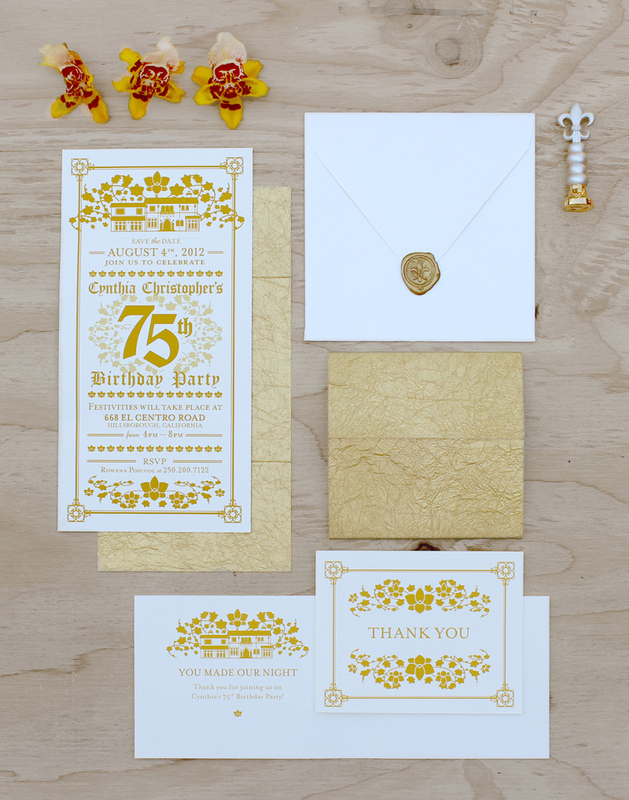 Designer Anna Salazar designed gold invitations, inspired by Cynthia’s world travels and her love of orchids, to help Cynthia’s friends and family get in a celebratory spirit for the big party. 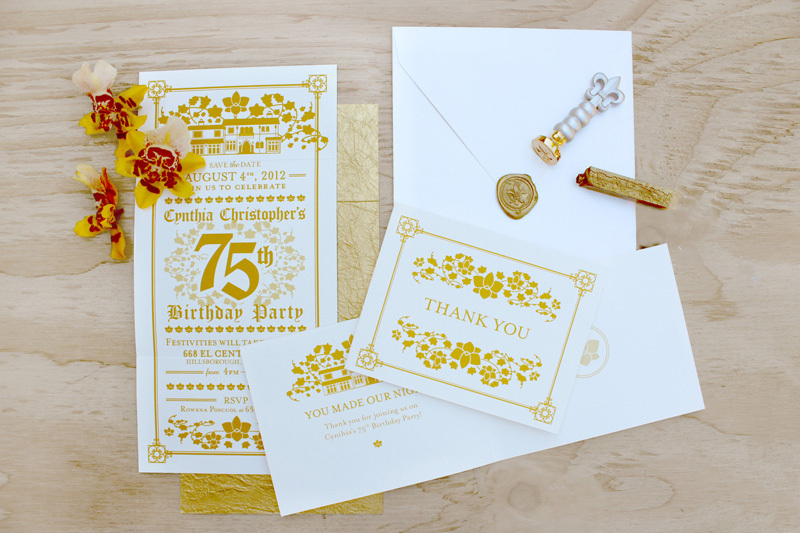 From Anna: Cynthia wanted something very special for her 75th birthday party. She previously worked as a business woman and would travel all over the world, including many countries in Asia. She has many antique vases, paintings, and furniture that reflected many cultures and her travels. She also loves orchids and has many orchid plants outside and inside her home. Using gold as the primary color for the invitations, I chose a couple of things unique and personal to Cynthia to serve as key design elements: her home (where the birthday party took place), the adornments on her front gate, her favorite golden mirror frame, and her love for orchids! We added a gold wax seal to the white envelope as a special touch. Cynthia told me how she used to write letters all the time during her travels using wax seals on the letters to her family and friends.